That’s a pretty great lead into the novel (though from page twenty five) or maybe a good lead into a book review? 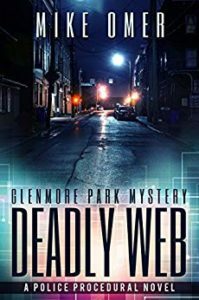 This is the second in Mike Omer’s Glenmore Park novels featuring Detective Hannah Shor who is desperate to redeem herself after her mistakes in the recent serial killings in the small town (Spider’s Web). When a seemingly normal man is violently murdered, his unknown, darker side is discovered and provides a long list of suspects.